You are going to have to go to Tim Keller's blog to read the rest of the questions. This is an issue near and dear to me as I think there are few things more important for the American church than to work for the conversion of "Christians." You have to ask questions that will show them who they are, and who they aren't. Here then is how the Spirit makes us wise. On the night before he died, Jesus told his disciples that he would send the Holy spirit and ‘when he, the Spirit of truth, come … he will glorify me …’ (John 16:13-14). The Spirit does not make us wise in some magical kind of way, giving us little nudges and insider tips to help us always choose the best stock to invest in. Rather, he makes Jesus Christ a living, bright reality, transforming our character, giving us new inner poise, clarity, humility, boldness, contentment, and courage. All of this leads to increasing wisdom as the years go by, and to better and better professional and personal decisions. Go get Every Good Endeavor. I'm trying hard to figure out how to explain Soma School. For a couple of weeks now I've been in processing mode while unfolding the story of my week in Tacoma for my wife and kids, our church leaders and some of our members, our community group, and our church as a whole. As a part of processing I'm working on a few posts to explain what I did at Soma School and what God is doing through what I learned there. First, what we did. The Soma School schedule for the week was well constructed to immerse us both in what they say and what they do by hearing it and actually doing it. You can view a general schedule online but it has been tweaked. Here's my brief overview with the tweaks included as well as some of my experience. I tried to be brief. Also, click on photos for larger version. Tuesday: Fly in. Reception dinner & introductions at Shakabrah (Jeff Vanderstelt and Caesar Kalinowski's restaurant). GCM vision, Soma vision, & expectations for the week were also discussed, along with some exhortations about being teachable. I enjoyed some time with a few other Soma attendees from Toronto between landing and the evening beginning. We met on the car ride from the airport and had an amazing story. More on that another time. We each left with our host family as they came to pick us up. Wednesday: Story of God. 10 hour story from creation to consummation, compressed to about 6 hours. and taught in two 3 hour sessions. In between we visited Network Tacoma for lunch and to see how they serve the homeless community. Everyone was assigned a missional community (MC, more info) to attend either Wednesday evening or Thursday evening. I was assigned Jeff Vanderstelt's MC on Wednesday. Jeff brought us to their house and people started showing up. A few folks brought dinner and cooked it as most folks were hanging out and talking. Dinner was served and people were spread all around the house, still talking. Then we all gathered in one room as the MC was finalizing their MC covenant. They didn't talk much about it after the conversation got side-tracked to one woman's concern with how often Jeff, the leader of Soma and the MC, travels. It made for an interesting and eye-opening discussion on expectations, some good ones and some not as much. But it was an open, beautifully messy conversation about who they are and what they are trying to do together. Both Wednesday and Thursday included pub nights, where Soma School attenders could go out with some Soma guys and talk about pretty much anything. I went both nights (Parkway Tavern), and it was lively conversation. Thursday: 6 hours on Identities and Rhythms. Lunch in between with Seth McBee and other Soma School attenders to discuss various topics. A handful of Soma leaders were available so attenders could choose who to go to lunch with to discuss their areas of expertise. Really smart and helpful. Without an MC to attend, Josh Cousineau and I grabbed dinner, late coffee, and headed to pub night. Banter with Jeff Vanderstelt and Sam DeSocio, stories of other conferences, and a packed table with tons of laughter filled the evening. Friday: 6 hours on the 4 G's: God is Great, God is Glorious, God is Good, and God is Gracious. Followed by 90 minutes of time to repent together in triads. Wow. Powerful. I hate when I'm forced into something like that. It was a running joke that if we knew that was coming we might not have attended Soma School. But it was one of the best experiences of the trip for me, to have 30 minutes for me to tell two brothers how I'm struggling to believe in my heart that God really is these things. Lunch was with Seth McBee again. Also Caesar Kalinowski. Teriyaki. Mmm, good. Friday night was the songwriters's showcase at Shakabrah featuring Aaron Spiro and others. Packed room enjoying good music. Saturday: Sacred Space work. Nearly 6 hours of work at Wapato Park. We attacked a large section of the park and took out massive amounts of unwanted growth. Exhausting, but dozens from Soma and Soma School did some beautiful work. What a lesson in a community of faith serving her city. Then I showered and tried to rest a bit before an expression dinner that my host family is connected with. Great conversation with Justin and Chris and their wives, as well as many others. It was one lady's birthday and they took significant time to surround her and let her know how they see God at work in her life and then pray for her. Eye-opening, beautiful, and something I'd never seen done except very superficially. Sunday: Attended both morning Soma Tacoma Gatherings with Josh Cousineau. Loved how they did the Lord's Supper. MC's are encouraged to take it together. So they go to a table with a loaf of bread and both juice & wine (intinction), and then they walk away together to circle-up and pray. I took at the 9am gathering with my host family and at the 11:15am gathering with Josh and a couple other Soma School guys. After, our Soma buddy Lairs took us to Seattle for some burgers and the 5pm Mars Hill service. This was optional, and most other Soma School attenders carpooled up for sightseeing in Seattle. But we did our own thing. Monday: This is where it all came together. About 6 hours of teaching on building a missional community, which included significant time for questions and answers from two different panels of Soma folks and other discussion. Lunch for me and a handful of others was with Sam Ticas where we discussed various Soma things, systems, etc. Dinner was with my host family, John, Trisha and little Aaron before we went to Shakabrah one more time. This time it was host family (John & Trisha, for me) & Soma School attenders together to close out the week, with the opportunity for each attender to share one takeaway from the week. I'll share mine in a future post. There was a great move of the Spirit in the room as attenders opened up and shared amazing things God was doing. Someone asked Jeff Vanderstelt how we (attenders) could pray for Soma. We then spent a significant amount of time praying for Soma, which was completely unplanned. Wonderful. Then they prayed for us and we left. I packed up and prepared for my flight home on Tuesday. That's a brief overview of the week not only according to the schedule, but as I experienced it. I probably forgot a few significant things. I purposefully left out some of what God was doing in me as I want to give that a more singular focus. All in all it was a week I'll never forget. John & Trisha were great hosts, loving me and serving me well. Teaching from Caesar Kalinowski, Abe Meysenburg, and Jeff Vanderstelt was excellent. But the whole week learning with head, heart, and hands was remarkable and is incomparable with anything else I've experienced. If you are considering attending Soma School, I highly recommend it. More posts to come. Kindle does a good job of offering good, cheap books. 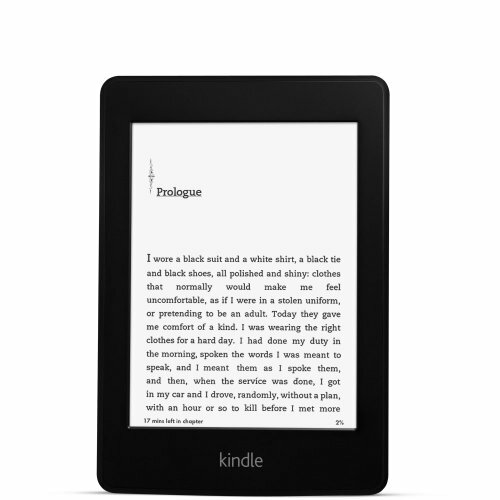 Buy a Kindle ($79), Kindle Touch ($99), or Kindle Fire ($199). Or simply get a free Kindle app to read these books for cheap! Church is not an event; it's a community. Mission is not an event; it's a lifestyle. People often complain that they lack time for mission. But we all have to eat. Three meals a day, seven days a week. That’s twenty-one opportunities for mission and community without adding anything to your schedule. You could meet up with another Christian for breakfast on the way to work—read the Bible together, offer accountability, pray for one another. You could meet up with colleagues at lunchtime. ...chat to the person across the table from you in the cafeteria. You could invite your neighbors over for a meal. Better still, invite them over with another family from church. That way you get to do mission and community at the same time; plus your unbelieving neighbors will get to see the way the gospel impacts our relationships as Christians (John 13:34–35; 17:20–21). You could invite someone who lives alone to share your family meal and follow it with board games, giving your children an opportunity to serve others through their welcome. Yesterday, CCEF announced the JBC's return in a new online format, with the new issue freely viewable now. I am grieved that New York City is planning to take the unwise step of removing 68 churches from the spaces that they rent in public schools. It is my conviction that those churches housed in schools are invaluable assets to the neighborhoods that they serve. You must regularly talk about multiplication and train the next group for its certainty. It must always be on your lips and prayers, and always on your people’s lips and prayers. If it’s not, then it will be very difficult when it happens–like kicking out your unsuspecting child and telling them it’s healthy. Recently was encouraged by Joel Beeke's talk on Richard Sibbes on Entertaining the Holy Spirit in your own soul via the Puritan Reformed Theological Seminary podcast. He gives some historical context of Sibbes' life and offers some wonderful quotes and exhortations. Grab the podcast feed for numerous other encouraging talks from Beeke, David Murray and others. One of my favorite podcasts going. A number of Kindle books are really cheap right now. I don't necessarily recommend every book on this list, but I put the ones I felt you would be most interested in, even if you disagree with the authors. I will *star ones I recommend most. This article is so profoundly affecting me right now as I have been thinking about revival, open-air preaching, and the need for a resurgence of evangelists, that I asked Jim Elliff for permission to put it up here in full. I honestly think this article is one of the most important things I've ever read on evangelism. Let's discuss it in the comments. Feel free push-back where you disagree. 1. The first radical departure from Jesus and Paul is our concept of time-specific, meeting-oriented evangelism. You will read in vain in the New Testament to find so many days of evangelistic preaching scheduled for Jesus or Paul and conducted at 7 p.m. in a certain location, etc. You do not find one-day events for evangelism on such-and-such a date. We are, to be sure, more time-conscious than the first century culture of Israel or Asia Minor. But it remains a fact that Jesus and Paul never went to an advertised meeting for evangelism. This is not a moral issue; I'm only showing the significant differences. This was a meeting of disciples, not an evangelistic gathering. I do not doubt that evangelism took place in some ways, but only believers are mentioned as being in attendance. They, in turn, must have had a huge impact on the larger public. So, the apostles were willing to trainbelievers at regular times, but this is not the same as scheduled evangelistic meetings. 2. Jesus and Paul never "took invitations" to evangelistic meetings. They never filled their calendars with events planned out in advance. Their schedules were entirely flexible and never were "filled." They might wish to go to a certain place, and be restrained, or even determine notto go as originally hoped. If a certain place took more effort than was expected, they stayed on until the job was done before leaving for another location. They were busy, but not because of a schedule. The use of their time was not only flexible, it was entirely determined by them (under the Spirit's guidance). They were never subject to the calendars of others who wanted them to come over and speak to people in their area. The first evangelists could have done otherwise. The scheduling of events was certainly a part of first century life. The Roman circus and games, for example, were planned as calendar events. But the earliest and greatest evangelists did not plan their evangelism in advance in the way we do. I don't mean that they never said to themselves, "I will go to a certain city tomorrow." But there is no reason to believe they bound themselves to meeting dates or filled up their date books with scheduled appearances. 3. Jesus and Paul avoided all that could be associated with "production" in their evangelism. There was no stage to their work. It took place in the common world of streets, shops, schools, and porches. It took place on roads. If Paul were traveling from one town to another taking four days walking, if asked, he would likely have described his activity during this period as "preaching the gospel." They evangelized on the go, not by the event. 4. First century evangelism never involved strategizing about how to gather a crowd. There were crowds that gathered on occasion, but they were not the result of careful planning. Rather, they "happened." On certain occasions they came about through apostolic miracles, in other cases through persecution, and on others simply through the magnetism of the men themselves. I know that God planned those crowds from eternity past, but I'm speaking of planning in the temporal level. It never seemed to occur to Paul that a crowd was necessary for evangelism to be effective. Philip is said to have preached Jesus to one man. Paul went for long periods without a large group ever forming around him. He might have spoken to five people here, two there, and twenty in another place. But he never gathered the other evangelists around him and asked, "What can we do to get up a crowd for the gospel?" 6. The first evangelists did not use the meetings of the local church as the primary place for evangelism. They did evangelize in synagogues among non-believing Jews and Gentile proselytes. This was a clearly identifiable aspect of their strategy. But in the meetings of Christians they did not primarily seek to evangelize. Of course, I'm speaking of Paul and the other apostles here; a New Testament church was not formed during Jesus' time. The church, in other words, was about believers. When they gathered they were to edify each other, receive edification, and worship. A non-believer might come in to their meeting who would feel convicted (1 Cor. 14:23-25), but evangelism was not the primary reason for the meeting. I'm not saying that the gospel was not preached in local church gatherings, or that people could not be converted in such a setting. Romans, Ephesians, Galatians, etc. are the gospel in comprehensive form, and such truths were expounded and discussed. But there was nothing like the focus we find in many evangelical churches who believe that the Sunday gathering is principally about winning lost people and gaining new members. In our day many otherwise fine men would never consider paying for the privilege of preaching the gospel (as opposed to being paid). The laborer of the NT, however, paid dearly for that joy. There were false apostles that violated that principle, but such were severely rebuked in Paul's letters. The true New Testament laborer was sacrificial. Before answering this, I might add that not all faithful people are to be "laborers" in this sense. Some are called as pastors of churches, paid or unpaid, vocational or bi-vocational. Others are active and evangelistic church members. But there is such a thing as an evangelistic laborer, and this is who I'm describing. These were the evangelists and church planters of their day. This included the original apostles and all others who were apostolic in their mission. By this I do not mean to imply there are more apostles of Christ than the original twelve (including Paul, Rom. 1:1). But there are those who labor like them, evangelizing and starting churches. If there were no apostolic types today, we would have no missionaries. The word "missionary" does not appear in the Bible, yet it is the Latin way of saying the Greek word, "apostolos," meaning "sent one." In some ways it is inconsistent to speak of missionaries and not believe in ongoing apostolic work. The fact that there were false apostles, presupposes that there were others who were doing such apostolic work, regardless of what we prefer to call them. It appears that neither Paul nor Jesus, nor the apostles, had a permanent dwelling in their traveling stage. We don't know everything about this. God did not choose to tell us, mainly because it is not the important thing. God is not against believers having homes. But because of this man's responsibilities, we do know that he cannot be hampered by the cares of home ownership. "No soldier in active service entangles himself in the affairs of everyday life, so that he may please the one who enlisted him as a soldier" (2 Tim. 2:4). He may have to rent a place to stay for a time, or stay in the homes of good, hospitable church members, but he needs to keep himself as free for his work as possible. This person would have to be a "self-starter," not dependent upon someone else to get him up and going for the gospel. He cannot be lazy. And, of course, other qualities should be found in such a man who will be called into this service. He must, to say the least, be exemplary in his behavior, for his life will speak as loudly as his words. There is a young man who comes to your church from a seminary. He shows signs of being an evangelistic laborer in the way we have described. The leaders encourage him with the possibilities. He moves into the home with an elder, or a faithful family and begins his work without any guaranteed pay. Perhaps this man is joined by another young man who was raised in the church. That second man, let's say, will live at his own home with his parents. Both of these men may rent an apartment later on. Or, if the church wishes, it might provide a house just for this kind of team. It is not wrong for these men to have a way to make some of their money, doing "tent-making" as necessary, provided it does not hinder their main work. For instance, they might consider having some kind of online sales that could be handled on their own time. Direct face-to-face sales are not recommended, since it has a way of distorting evangelism. Or, there might be a way for some of the men to work in the businesses of some of the members, as needed. Or, yet another way is for these men to have a skill that can be used by the church members and others. They can work in such a way that will not totally keep them from their task. If you have comments, please don't hesitate to forward them to me at info@ccwonline.org. If you wish to include this issue in your chat rooms discussions or blogs, please feel free to do so. But let me know, so I can gain from your insights. Copyright © 2005 Jim Elliff | Christian Communicators Worldwide, Inc. Permission granted for not-for-sale reproduction in unedited form including author's name, title, complete content, copyright and weblink. Other uses require written permission. My question is this: If preaching has power, God-designed and Spirit-delivered power, why are we not taking it everywhere, to the most people we can, with urgency? Why are we not preaching on the street corners, in public parks, in places of commerce and theater and government? It seems to me we believe Gospel preaching has power as long as it's in a pulpit, but out of the pulpit our language changes. Now the audience has power. Now they determine whether or not we preach to them. Their ears and wills and tastes and distastes become sovereign. Our the bad examples of bad public preachers tells us that approach isn't viable or helpful anymore. We have excuses for it all from our demographics, city designs, lack of public dialogue, etc. And so the Gospel that comes with power is left in the sheath. We try to convince people to visit our church where it's taken out of the sheath. Where the power will be on display. Or we start emphasizing the power of other things, like our good examples and righteous living. But the truth is, the Gospel proclaimed is POWERFUL. It's like Ezekiel prophesying to the dry bones and then to the breath resulting in an army rising from the deadest of the dead. Preaching to bones is silly. Bones don't listen. Bones don't want your preaching. Bones aren't an attentive audience. But if the Gospel is preached, the worst audience and least conducive situations will be places of spiritual birth! Of salvation! Of army creation! The audience changes nothing about whether or not we preach. The audience only changes some of the bridges we use in preaching, like Paul in Acts 17. How can we any longer fail to preach to everyone, everywhere? How can we have such a powerful Gospel and fail to unleash it? Let's make it public again. After I read some stuff and watched the vids you posted I made a short list of things I can do right now as I'm not ready to go stand on the street and start preaching. My list was 1) begin to pray for the right heart, 2) make a solid intentional list of verses and memorize them, 3) find the right spots in my community, 4) compile a list of texts conducive to preaching the gospel in open air. 1. Praying | I'm not spending a lot of time praying for the right heart, as I feel like the right heart is what God has been preparing in me to even do this series of posts and head in this direction evangelistically. But Jesse's comment reminds me I need to do this more. I'm praying currently more for revival in our church, for the Spirit to guide me toward the right places, right times, & right means, for the Spirit to be working in the hearts of the lost so the seeds of the Gospel will grow, etc. I'm also praying for a handful of guys who have expressed interest, who I've been in contact with privately about it, and for others who I hope will consider open-air preaching because they would be good at it. I think I mentioned that in a previous post, but worth noting here. Some of the prayer for evangelism and toward the lostness of our neighbors is with my wife and kids. The kids know varying amounts of info about my growing plans (depending on their age and maturity), but they are a part of this for sure. They will know (generally) what I'm doing when I do it. 2. Brainstorming | I'm spending a significant amount of time just brainstorming. Ideas sometimes come out of prayer, and prayer is my response to ideas. Often listening to podcasts helps to spark my thinking (preaching on particular passages, on revival, on evangelism; Jerram Barrs iTunes U evangelism class), drawing stuff on my whiteboard or in my Moleskine workbook, making lists, playing with acrostics for different things I'm doing or want to do, making notes in a personal journal, etc. I can't emphasize how important untethered time has been in thinking this stuff through. I could make a whole other point on stuff I'm reading that's a part of my brainstorming, but it's more pieces of things. Much I've found helpful I've tweeted or posted as quotes. But I'll just say I'm reading Scripture, books, stuff out of theology books, evangelism books, etc and so on to help me continue to brainstorm. I'm also watching videos of people doing open-air preaching. Even the bad stuff is informative on at least what NOT to do. :) I notice a lot of patterns found in nearly all preachers, which helps in brainstorming as well. 3. Bouncing Ideas & Seeking Advice | Molly gets a lot of it. She's pumped, and always has good wifely advice as well as godly advice. Important because of of who she is in my life, and because she needs to be prayed up and prepared for any possible negative consequences. I've been on the phone more the last 3 days than in the last month, just picking brains. Joe Thorn gets plenty of that, but other guys elsewhere are getting some of that. Emails and DM's on Twitter are hopping. I've started sending a list of my posts to some respected guys out there (pastors, authors, missiologists) for their advice, feedback, or whatever. I need people to tell me if/where I'm wrong! I'm thinking it through and I KNOW some guys out there think I'm a nutjob for saying all this, but few are saying it to me. Dear "that guy," please tell me. Help me. Sharpen me. 4. Canvassing My City (County) | I've done this for a while, but it's ramping up. I'm doing drive-bys and paying visits to places at certain times to gauge people-flow. I somewhat regularly do work at the local community college to see the flow of students to and from campus, to and from the cafeteria, etc. Last night, for example, I left the house and did a drive-by the local bars. How busy are they on a Wednesday night? I have some workbook notes on specific times and places of things that happen, as well as spaces that might be conducive. Helpful for praying and planning for open-air preaching. 5. Texts for Memorizing/Preaching | Jesse's point here is important. I'm looking particularly to the parables at the moment for preaching. I'm focusing more on gospel Scriptures than apologetics Scriptures, but both have a place. I'm also convicted after some discussion with Jim Elliff that I need to spend more time reading Scripture than reading other good things, books, etc. Trying to ramp up that pursuit. 6. Preparing My Local Church | I'm telling my church in sermons what I'm planning (more vaguely). I'm telling my church in community groups and prayer meetings in as much detail as is helpful. They are responding with more prayer, with more focused prayer, prayer for boldness, etc. After worship on Sunday they spontaneously (led by a couple people) surrounded me, laid their hands on me, and prayed for boldness. 7. Seeking Partners | I've also told my people I need them in the work. Some need to be there to observe, respond relationally and conversationally to follow-up. A few have already stepped forward for that. My hang up is, in addition to the qualities you mention that you're calling for in open air preaching, doesn't there have to be an attractional element to gather people? What does that look like other than being in a public place and raising your voice really loud? I'm going to have more to say about this when I start talking about a particular approach I'm planning on taking. But I'm hoping to take a gradual approach to public preaching, meaning to start preaching out of other things that are occurring. In Acts 2 Peter's preaching is responding to the drunkenness comments of the crowd after tongues are spoken. In Acts 3 Peter's preaching is responding to the lame guy leaping around after healing takes place. Paul (generally speaking) often moves from Synagogue to marketplace to further opportunity (Areopagus, Hall of Tyrannus). Public preaching (of some sort) of Jesus is often in response to his healing, his helping the woman caught in adultery, to the crowds surrounding him because of other things going on. Now, we for some reason have taken that to mean we should learn some clever magic tricks and juggling in order to draw a crowd. I think more biblical ways above are better ways. While I'm probably not going to take a lame guy and make him walk (unless the Lord wills! ), I can start small with a conversation with one or two in such a way and in such a place that it leads to others joining in as they either eavesdrop (which we hope for) or because they are invited to join. In other words, I'm not planning at this point on being the dude who brings in his ladder and microphone and says my name and starts preaching to a crowd. I'm planning on starting with a few, loudly enough and in a public gathering area in order that others will overhear, and with the hope it draws a crowd and larger-scale open-air preaching is the result. AND, I believe I've found at least one way to do that in my city, though I'm not ready to post that specifically here. I've told a few friends. I'm happy to give a little more info to anyone who desires more. But what I gave should be enough to spark some thought in your context. Hope that's helpful. Again, thinking it all through. Trying to find a way to do it better. And I'm desperate for negative or positive feedback so I'm not just some blogger out there saying a bunch stuff that will amount to nothing. What would you add to my list? The Spirit Led Pastor from Acts 29 Network on Vimeo. I just love Sam Storms. Solid, biblical advice for pastors. Not trying to be clever. Just clear. Spend time with people who are as committed to the Spirit-led life as you are. Keep in mind that Spirit-character is the point of all Spirit-gifting. *The last of my series of posts on Verge. See Pt 1, 2, 3. I've been struggling. Personally, spiritually, pastorally, physically. I was talking with my wife on Saturday night about some of the stuff I've dealt with in the last year and beyond, and it blew me away when I realized the issues that have I've dealt with in my life. I know that's vague, but I want to give at least a little context for what I'm going to say and what I've experienced. I know we all go through difficult, dryer times. We all have detractors. And I've talked to a number of young pastors in the last months and years who have had many of the same issues. I know I'm not alone or unique. In the few months prior to Verge God was really working on me. I've been doing a lot of repenting of the idols in my heart. I've been preaching the gospel to myself. Molly and I have been thinking through a lot together. She has been going through much of the same through a study that just rocked her world a couple of months back. When I got to Verge I connected with friends and settled in for a good time. What I didn't expect that God would use this conference as a spiritual pivot-point. Practical, sure. Theological, maybe. Not spiritual. During the conference, through a number of sessions and conversations and events, the Holy Spirit haunted me with God's goodness and faithful love in Christ. Let me briefly describe how the Holy Spirit worked in me at Verge. First, I was blessed and challenged by the video lead-ins by Alan Hirsch. Each session started with Hirsch detailing an idea that the upcoming speakers would speak on. One-by-one these videos deepened my love for Christ and the Church. I ended up looking forward to the next video more than the next speaker. It was a great thread tying together the conference, and through them the Spirit was stirring that old fire in my belly to see God's local church vibrant and alive. Second, as detailed in my previous post, Jeff Vanderstelt and Caesar Kalinowski's breakout on Soma Communities took Hirsch and gave it legs, concreteness. They took the hunger I was gaining for biblical, misisonal community encouraged by Hirsch and made it seem possible. God was renewing my view of community, my calling to shepherd our church toward it, and my love for the Church despite her flaws. Third, the two sessions with Francis Chan were remarkable. Nothing flashy. Quite the opposite, really. Just real. The dude was real. He was honest about his own struggles and our struggles as pastors to want what God wants and to want them through the means God provides. You will try and fail to start movements. Movements come from Jesus, from the Holy Spirit. If you try to go surfing and there are no waves, you send your buddy out to start splashing and try to make waves. We can't do it. Think about the book of Acts, and how unstoppable they were. This is Holy Spirit powered. I want to ride the wave. I'm spending way too much energy splashing in the ocean to make my own waves when if I look for the Spirit's waves, they will be unstoppable. How can we think our tactics and strategies and plans and efforts will go anywhere without God? Chan's honest and sobering message inspired me to dream again about being the church we saw in Acts. I used to dream about the exciting, messy movement of God in the world. I want to want that again. Most preaching makes me want to believe I can do something. Chan made me want to believe and pray that God would do something. If you are not suffering, there is a problem. Imagine how close you’d be with Jesus and how safe you would feel had you suffered alongside Him. Then you would know this is real. This was the message I can quote the least because I was so tunnel-visioned into what God was saying. I didn't hear the sermon, I experienced it. You can get a lot of the message from Jonathan McIntosh's post. He echoes much of what I thought about Chan and the work of the Holy Spirit at Verge. Allow me to quote JMac here for my fourth and final point. The best part of the weekend was a worship session on Saturday afternoon that never seemed to stop. It was time for the singing to be done and for all of us to move on to the next deal on the schedule – except that God had something else on His schedule. Matt Carter got up and acknowledged that something was going on. Breakouts were going to start soon and that if people needed to go they could, but he opened the door for others to stick around if they felt so led. And we did. People just stood there. Or knelt. Or bowed. And then one by one, people spontaneously started calling out to God. In a group of thousands, people started calling on the name of Jesus. It’s hard to describe what happened, and I really don’t want to dishonor that moment by trying to make it seem more dramatic than it was. I’ll just say that for me it was an intense moment of sensing God’s hugeness and my own smallness and yet feeling accepted in that instead of alienated. It’s the first time I’ve seen something like that happen in a group that large since my charismatic revival days. I agree. I've had a lot of "aha" moments from God through His Word. I've had a sacred few moments when He was noticeably present in a special way. I've had even fewer like Verge when He moved in unity among many and was, apparently, sensed by nearly all of us. Truthfully, I'm all too skeptical of these things. So much junk is said to be the work of the Spirit, and that's when eye-rolling and tongue-clucking commences. But I can't deny the experience I (we) had at Verge. It was the culmination of many things happening in my life. It was sparked by truth and Christology and ecclesiology and evangelistic/missional fervor at Verge. But the crescendo for me, and it seems for all of us, was when a "rock star pastor" (Chan) laid himself bare, talked about struggles instead of displaying his flapping cap, and talked about Jesus and the Spirit instead of strategies. It was a moment I can't forget, and that drives me NOT to pursue a new ministry plan BUT rather power that can only come from the haunting of the Holy Ghost. May our churches find ourselves on our knees far more than we sketch out plans. May the interruptions that God puts in our lives be seen as more important than our intentions. May we be willing to suffer as missionaries for our great God. And may He be glorified.